On Tuesday, May 8th the peloton arrived to Italian soil, on the island of Sicily to start a three-stages journey through the island before going to the mainland for stage seven. During all these days the riders delivered exciting performances in the wide spectrum of scenarios that this week featured, from the massive sprint in Praia a Mare of the seventh stage, passing by the tricky uphill finales of the first two stages in Sicily, to the epic high mountain finisihes on the Etna or Gran Sasso d'Italia. This is a recap of the main actions and points of interest during these stages. The first two stages in Italy, stages 4 and 5, can be categorized as mid mountain stages for the constant up and downs through the hilly terrain. The slightly steep final meters of both were meant for versatile riders who can hold an acceleration on uphill roads, riders such as Tim Wellens (Lotto Fix All) who took the victory of the fourth stage in Caltagirone, and Enrico Battaglin (Lotto NL Jumbo) who won in the harder fifth stage in Santa Ninfa. Wellens delivered a strong performance on the final kilometer of Caltagirone. Faithful to the combative style that his fans so much appreciate from him, Wellens jumped from the peloton twice, the second time being in response to Enrico Battaglin's acceleration when he surpassed the Italian and took the stage victory. In the fifth stage it was Battaglin who was finally successful. This time the Italian waited for the proper moment to launch a powerful sprint in the final 200 meters, surpassing Giovani Visconti, who had caught a few meters of advantage by that time and raised his arms at the finish line. In terms of the GC these stages, even being as intense as they were in the final kilometers, didn't represent any significant change and Rohan Dennis could keep the maglia rosa. The worst part of those days was for Miguel Ángel López (Astana) who fell on the final hill of the fifth day losing more than forty seconds to the other GC contenders. Domenico Pozzovivo also hit the floor on the last section of that stage but his team was able to return him back to the peloton. Meanwhile the Mitchelton-Scott team was already showing its collective strength, being one of the most active teams on the uphill chase on both stages, together with Lotto – FixAll and sometimes Bahrain-Merida. But the explosion of talent of the Australian team came on the sixth stage with summit finish on Mount Etna. This was the first big test for the GC contenders and they were up to the challenge, delivering an exciting stage until the finish line. The iconic image of Esteban Chaves crossing ahead of Simon Yates to seal first and second place for Mitchelton-Scott traveled around the world, and showed to all of us that the team was serious about fighting for the maglia rosa. That day in the front group, attacks from Alessandro De Marchi and especially Giulio Ciccone shook things up halfway the climb. The Italian of Bardiani CSF launched the strongest attack before the combined effort of Esteban Chaves and Sergio Henao, both from the original breakaway, caught him and allowed Chaves to go solo for the win. Meanwhile in the GC group Miguel Angel López, Domenico Pozzovivo and Thibaut Pinot tried to attack and gain some advantage, but their rivals and especially a strong Tom Dumoulin were able to eventually neutralize all the attacks, especially in the last two kilometers. The Dutchman finished the stage with the other GC contenders except Yates, who took the peloton by surprise launching an incontestable attack in the last 1500 meters. Mitchelton-Scott reached glory that day after taking the stage with Chaves and the GC lead with Yates, with the support of a very strong Jack Haig who was also a domestique of capital importance for them in the 9th stage and will probably continue to be during the next two weeks. Also on the summit finish of the Etna, the white jersey of the best young rider changed hands and went to the young Ecuadorian Richard Carapaz, a big revelation in this Giro. The next stage after the Etna, the 7th, was disputed in the Italian mainland. After a disorganized trip of the teams to the continent, in which some teams such as Sky were stranded for several hours, the peloton covered the distance between Pizzo and Praia a Mare. There, Bora-hansgrohe sprinter Sam Bennet took the stage ahead of Elia Viviani and obstructed the Italian's objective of getting his third stage victory. Bora was very active in all the previous flat stages, trying to deliver Bennet in the best position for the sprint, and after two stage victories of Viviani in Israel, they finally succeeded and ended the winning streak of the Italian. After that transitional stage, the race turned back to the mountains. The 8th stage arrived at the traditional summit finish of Montevergine di Mercolano, a long but relatively calm climb without steep sectors. The GC contenders kept an eye on each other the whole time, with Astana and Mitchelton – Scott being the most involved in the chase. Chris Froome suffered a crash in the second half of the climb but thanks to his teammates he didn't lose any time, although that crash and the one he suffered before the first stage are adding difficulty to the Giro of the British rider. When the race reached the final two kilometers, there was a big chance that Koen Bouwman (Lotto NL Jumbo) from the original breakaway could win the stage. Nevertheless, within the final 1500 meters, Movistar's Richard Carapaz took advantage of the vigilance between the GC contenders and launched a very strong attack. The Ecuadorian surpassed Alexandre Geniez (AG2R), who tried an attack a few meters before, and Bouwman and headed toward the finish line alone. In the main group the riders waited until the final 500 meters to launch the sprint, led by Thibaut Pinot, but it was too late to catch the young rider wearing the white jersey. Carapaz made history claiming the first Grand Tour stage for Ecuador ever as well as the first victory in the WorldTour for that country and showed that he is a strong rider to keep an eye on, in this Giro and the following years. But if Montevergine wasn't much of a challenging mountain for the GC riders, the long climb to Gran Sasso d'Italia of the ninth stage certainly was. A 14-riders breakaway raced ahead during most of the day, from which Fausto Masnada (Androni Sidermec), and in second place Manuele Boaro (Bahrain Merida) were the final men standing against the main group. In the last 47 kilometers of uphill road, Astana and Mitchelton-Scott were the teams committed to chase the breakaway. Masnada was caught within the last three kilometers and from there to the finish line it was a nervous race for the team leaders, taking into consideration that Chris Froome and Fabio Aru were dropped around that same point after the accelerations of the Mitchelton crew. Giulio Ciccone once again tried to surprise the GC riders but his efforts weren't enough to gain a significant advantage and in the last 1000 meters Thibaut Pinot and Domenico Pozzovivo tried to go for the stage win. Nevertheless, Simon Yates wasn't going to let them take the bonus seconds, and in a superb effort the British outsprinted his rivals to take the stage win. Dumoulin wasn't able to get himself into the sprint and lost 12 seconds that cost him his 2nd position in the GC. After this ninth stage, the chances of Fabio Aru and Miguel Ángel Lopez seem very diminished with the Italian dropped to the 15th position in the GC and 2'36" of disadvantage against Yates, while the Colombian lost 24 seconds in the stage and holds 13th place in the GC, 2'34" behind the maglia rosa. In the same way, Chris Froome is creating many doubts about his chances in the GC but at least he can try to gain some time back in the time trial of stage 16. Simon Yates is proving that he feels good and can take some time against Dumoulin in the high mountains. The Sunweb leader will have to be more vigilant of the Briton and his teammate Chaves, now in second place in the GC, on the steep roads of the Zoncolan if he wants to arrive to the Time trial with chances of winning back the maglia rosa. Meanwhile, Pinot, Pozzovivo, Carapaz and LottoNL-Jumbo's George Bennet are other riders that hold great strength in the mountains, and will play a key role in shaping the Top 10 or even Top 5 of the GC during the next two weeks. 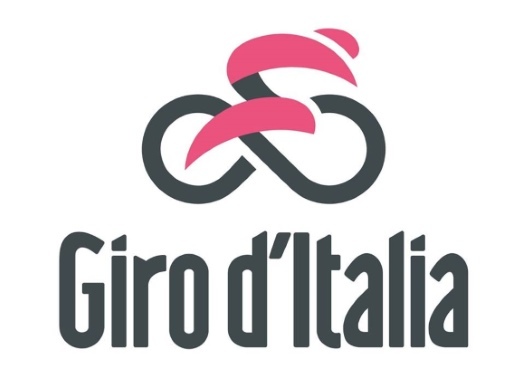 This Giro is very open so far and surely the next mountain stages and the time trial will be the exciting scenario in which some riders will rise to glory while others will definitely lose their chances.